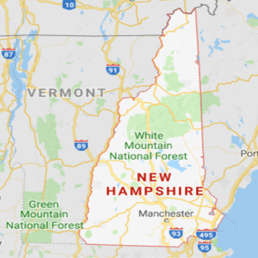 When you take notice of water damage issues like flooding or sewage backups, the mold removal Concord experts from 911 Restoration New Hampshire are prepared to take care of those issues right away. When leaks occur, our technicians also know that mold growth could be a problem too. To make sure that mold is removed from your home thoroughly; our mold removal Concord technicians will conduct remediation services that will take care of any fungal infestations. The presence of excess moisture is the primary reason why mold can start to grow within your home. Fortunately, Our IICRC certified mold removal Concord technicians are equipped with advanced equipment that will remove water and moisture from your property. Without water and moisture, you won’t have to worry about any fungal infestations in the long run. We have the training and over three decades worth of experience in handling water damage and mold remediation. Whenever a leak springs within your home, our mold removal Concord technicians can come in and conduct a free visual inspection and estimate. 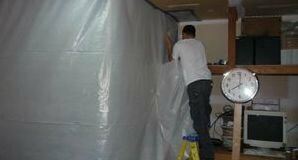 Our mold removal Concord team has all the training and equipment to be able to take on water damage and mold growth. To thoroughly remove mold from your home we will make use of industrial strength, eco-friendly cleaning solutions can cleanse the affected area of any signs of mold without causing any further damage to your home. Don’t let mold or water damage linger within your home and get a fresh start right away by calling the mold removal Concord pros from 911 Restoration New Hampshire a call today!